It seems like the back-to-school dust has barely settled before we are flung into holiday preparations. Halloween, Thanksgiving, and Christmas come in rapid-fire with only a little breathing room in between. So if you woke up one morning in September (or October or November) and thought, Oh no! Christmas is coming!, you’re not the only one. That thought can be especially stressful if this year was a tough one economically for your family. Christmas is expensive (the average family spends around $1000), and with only a short time left to save up for it, you might be freaking out a little bit. But don’t be discouraged if an “all-out” elaborate Christmas season is out of reach for your family this year. You can absolutely have a fun and meaningful Christmas without putting everything on a credit card or taking a second job. Having an affordable Christmas requires prioritizing, creativity, and preparation, but it does not require deprivation or embarrassment. 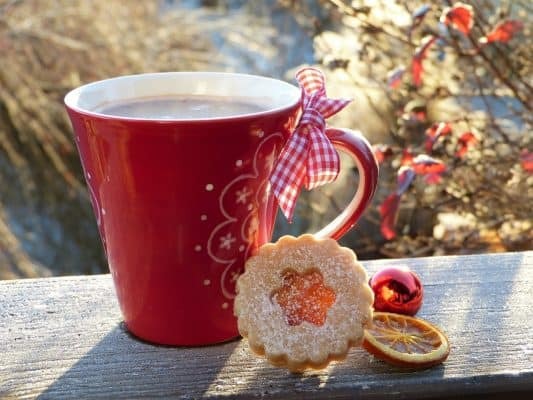 Simplifying your Christmas season may be exactly what you need to connect as a family and truly experience the Christmas spirit. 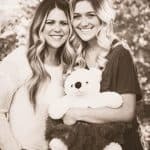 I’ve compiled some ideas and tips to help you define your priorities as a family, creatively save money, and prepare now. 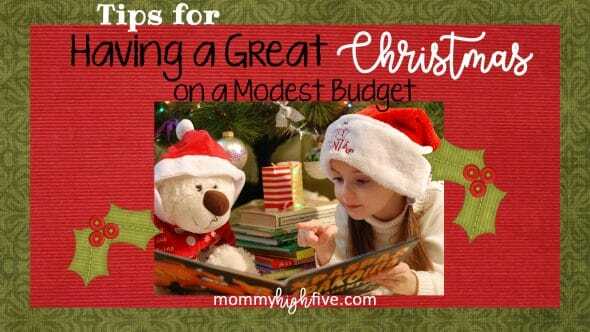 Calling this Christmas “affordable” or a “budget Christmas” might have a negative connotation with going cheap, being a Scrooge, and sad deprivation. You might shudder to imagine your children’s sad faces as they turn their stockings upside down to shake out a single orange and candy cane. But that is NOT what being frugal and financially savvy is about! Being frugal means being deliberate about how you spend each dollar; it has more to do with self-awareness than cutting coupons. If you want to save money on Christmas, ask yourself what truly brings your family joy during the holidays. Not everything about Christmas will bring you joy. The trick to saving money is putting dollars where they will make you happy, and not putting them where they won’t. Your biggest priority should be financial peace. Overspending and going into debt will overshadow any happiness gained from the purchases. You’ll find that committing to financial responsibility will bring you the most joy this season. To identify your family’s priorities for the season, hold a family meeting. It can be around the dinner table on a Sunday, or in the car, or before bed. Ask your children and spouse to tell you their favorite Christmas memories. Ask about which traditions they look forward to this year. Ask why those experiences made them happy. Take a few notes and pay attention to what kinds of things came up multiple times. 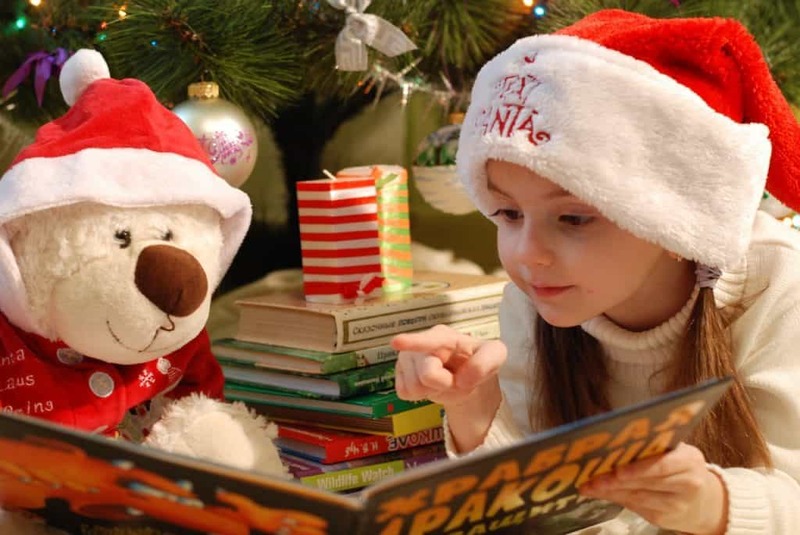 Get to the heart of what made those experiences meaningful–you may be surprised that your children didn’t care about the Nutcracker, but they loved singing silly carols together on the drive there. After the family meeting, counsel with your spouse about what activities and traditions you will include this year. Review your notes from the family meeting and determine what things will bring you joy and what you will cut out this year. Saying no to activities or traditions is hard, but it is easier if you view it as making room for more important things. Choosing to spend your time and money on only a few meaningful traditions will bring peace to a hectic holiday season. After you’ve identified the priorities for the season, your budget is probably looking more attainable, and your stress level has hopefully gone down. But what if your priorities are still going to cost more than you can afford? It’s time to get creative! 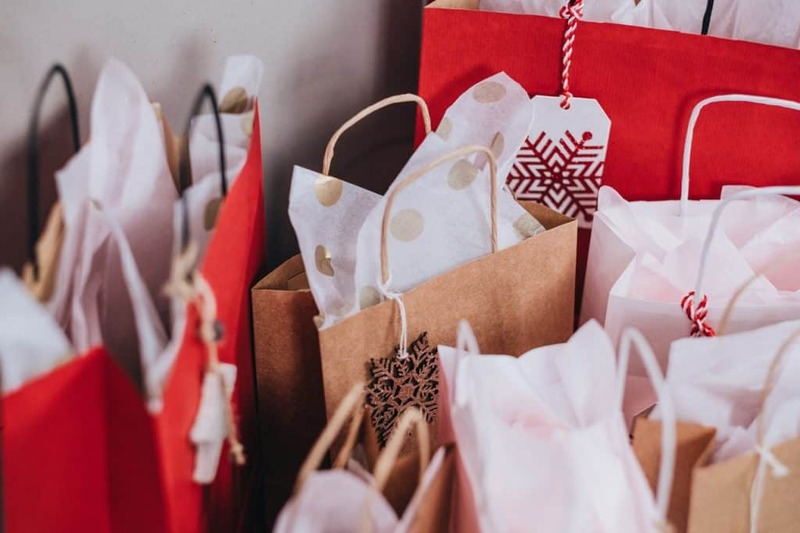 Often our ideas and expectations for Christmas are formed by an avalanche of marketing and social pressure, but you can dig yourself out and be true to your own priorities. Here are a few practical tips for reducing the cost of Christmas while still keeping it fun and meaningful. Christmas Parties: Throwing a big Christmas bash can cost a lot of time and money. The food and invitations can really add up, plus it’s a ton of work to make the food, plan activities, and prepare the house. But the point of throwing a Christmas party is to be with people and feel festive, not to win hostess of the year. So invite your friends and neighbors to a night of caroling. Print out the lyrics to popular carols and spread some Christmas cheer around the neighborhood! Then gather at your house to warm up and visit over glazed doughnuts and some hot chocolate. Christmas Cards: First of all, it’s time to realize that you don’t have to send Christmas cards at all. If it is a priority for you, then absolutely do it. 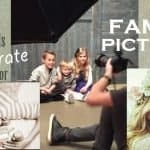 But in the age of social media, most people have already seen your family photos and vacation pictures, so the custom printed photo cards are really unnecessary. If you truly want to wish friends Merry Christmas, you can get basic holiday cards, and write a personal note inside. 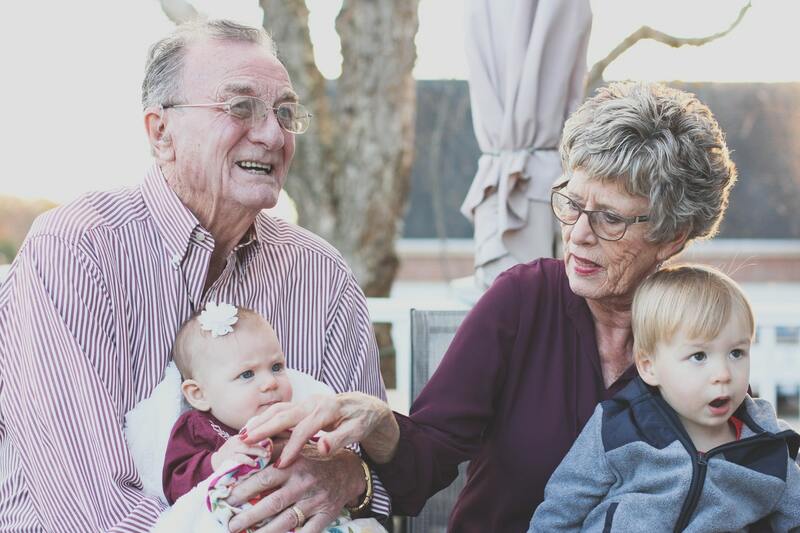 For grandparents who love to put pictures on the fridge, print a couple 4×6 photos (for pennies at your local Walgreens or Target) and tuck them in the card. Decorations: Gorgeous holiday decor is so tempting! I dream of my home being decorated like a Hallmark set. To save money on decorating, you’ll have to say no to new decorations. It’s okay to use the same decorations you used last year and the year before. If you want a refresh, get creative and see what you can make with what you already own. Or instead of overhauling your whole home, choose to replace the twinkle lights that are flickering and get one new centerpiece or wreath. Another free option is to trade decorations with a family member or friend. Framed children’s artwork or hand prints. Cousin Gift Exchanges: Get your children involved. It will be more meaningful for them if they think of a creative idea to make and give. Encourage your children to use their interests and talents to make jewelry, write a story, invent a game, sew a doll blanket, etc. It will probably take more time than a Walmart run, but that’s why you prioritized, right? 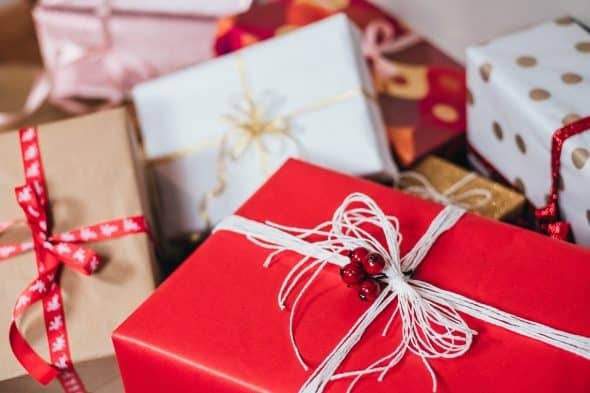 Neighbor Gifts: Many neighborhoods have traditions of exchanging small gifts or goodie plates , but like Christmas cards, you don’t have to do it. 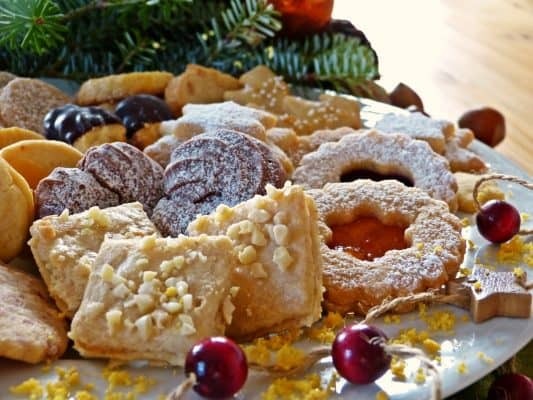 If the cost of ingredients and time to make five types of cookie is not a priority, you can skip this year. But if it is important to you to reciprocate your neighbors’ gifts, you can do a simplified version. Instead of four or five varieties of cookies, make mini loaves of pumpkin bread or pound cake. You can always skip the gift altogether and mail each neighbor a card with a handwritten message expressing your gratitude for their friendship and generosity. Gifts for Your Children: You can discover the things your children truly want by reducing their exposure to marketing. Less TV and YouTube before the holidays will tame the “gimme gimmes”. Also, never hand a child a catalog to circle things he/she wants. Everything looks cool in a catalog, even if your child didn’t know it existed before that moment. Without being told what they should want, your children will be able to think independently. Ask your children to write down the top three gifts they would like. Without the prompting of advertising, the things they write down will probably be items they’ve thought about for a while. As such, they are more likely to be enjoyed for a long time. Here’s an important clarification though: you do not have to buy something just because your child wants it. If you don’t have the money for something or you don’t want your child to own it, do not buy it. Even if your eight-year-old daughter desperately wants an iPad, don’t buy her an iPad if you don’t have the money or you don’t want to fight a screen time battle for the next decade. Being a parent is often about making choices that may make your children temporarily unhappy–even at Christmas time. When thinking about buying gifts for your children, think about maximizing the ratio of joy per dollar. Don’t feel obligated to buy a large number of gifts just so they have the pleasure of ripping lots of paper on Christmas morning. Only in commercials should stacks of presents hide the tree. The ripping-paper joy is short-lived, and it starts to wear off after the first few presents anyway. Focus instead on a few quality gifts your children will enjoy for several months. Choose gifts that will engage their minds and feed their interests. Cut the cable. Besides the benefit of reducing the advertising your children are exposed to, it will free up some cash. Plus, you’ll have more time to work on those handmade gifts with your children. Sad you’ll miss all the Hallmark movies? Check them out from your local library for free! Cancel any other subscriptions you can live without. Netflix and Hulu are not vital (Gasp! Not ALL the shows?! Yes, you can live without TV for a few months.). Cancel magazine subscriptions, any beauty or clothing box, Audible memberships, monthly gym memberships (Let’s be real. I’m not going to the gym until January anyway. ), and anything else you pay for monthly. Will it be a sacrifice? Absolutely. But Christmas is on the line here. Stop eating out regularly. I know it’s super convenient, but even the cheap options are more expensive than eating at home. You can still eat out, but plan ahead, budget for it, and make sure there’s a purpose for it. On the plus side, eating at home is generally healthier than eating out, so you won’t miss that gym membership so much. Besides reducing your spending, you can also find ways to make extra cash. It is the season of spending after all, so why not be on the receiving end? Here are a few ideas to bring in some Christmas cash. Enlist the whole family in a serious decluttering effort, and then list the stuff on Craigslist or Facebook Marketplace. Offer yard work as a family to your neighborhood. 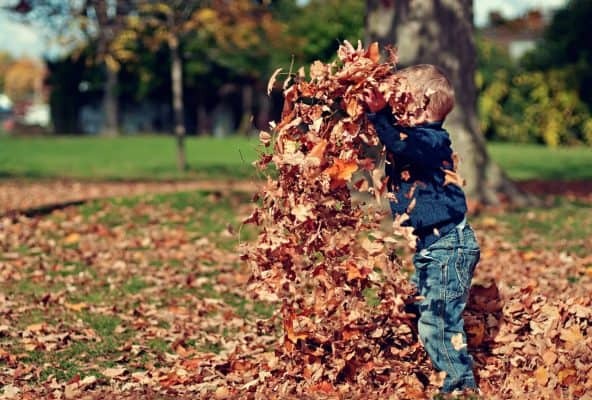 The fall is a great time to offer leaf raking, gutter cleaning, weeding, and trimming. Make up some flyers, set your rates, and have your children practice giving a pitch. It’s a great way to earn some cash and work together as a family. Do a bake sale. Are you great at cookies? Sell frozen homemade cookie dough. Choose a few recipes you are great at, then teach your children how to price out the costs and profits of each. Set your prices, create order forms, and then have friends and neighbors order and pay ahead of time. It’ll take one weekend of mixing, packaging, and delivery. 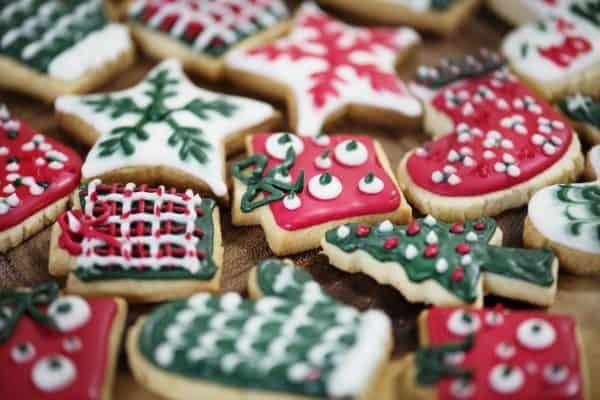 Your customers will save time on holiday baking, and you get money for Christmas! With budgeting, knowledge is power. The more you know early in the game, the better prepared you will be. 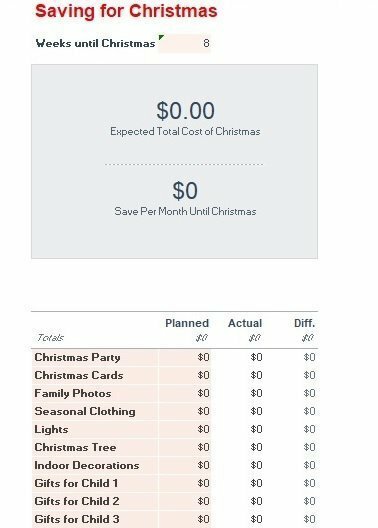 I’ve created a downloadable spreadsheet you can use to estimate what your Christmas will cost. Armed with that, you can break down your total cost and save a little at a time. Looking directly at the total cost and making a plan will reduce your stress significantly. As you fill in numbers for each category, you’ll see its effect on the total. Always go back to your priorities and ask yourself if that category will bring you joy. As you work through your priorities, get creative with gifts and activities, and prepare your finances, your holiday-induced stress will decrease. Simplifying the holidays will bring your family closer together as you spend time helping and creating together. Rediscover the true meaning of Christmas when you prioritize things that don’t have a price tag. As you celebrate this season, your tough financial year can turn into a memorable Christmas.